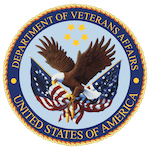 Veterans who have served our country during a time of war and their surviving spouses are eligible to receive a reimbursement for in-home care and assisted living costs. Medicaid will pay the cost of nursing home care. The application, approval and appeals process is extremely complicated and takes preparation and planning. You may not think of the things you own as an estate. However, your home, bank accounts, life insurance and retirement accounts are all assets. You need to plan what happens to these assets when you pass away and how to avoid obstacles like probate and estate taxes. Nursing home costs can be astronomically expensive. $7000-$8000 a month will wipe out the life savings of most people in a year or two. Long-term Care Medicaid is a state and federal partnership that pays for nursing home costs for qualified individuals and married couples. Becoming Medicaid eligible is an extremely complicated process and requires knowledge of laws, rules, policies and processes. Attorney Zachary Derr is a Certified Medicaid Planner and helps clients strategically plan for Medicaid needs, become Medicaid eligible and appeal Medicaid administrative rulings. Sometimes our loved ones have diminished capacity and are unable to responsibly make decisions or manage their financial affairs. Sometimes a special needs child turns 18 and needs her family to continue to have responsibility for her protection and well-being. The court provides the legal structure that allows family members to step in and take custody of financial affairs or be designated as a legal guardian to protect the loved one and manage their affairs. Studies have shown that people are sometimes afraid to talk to an attorney because they don’t know who to call or how much it will cost. We are dedicated to educating the public and helping prospective clients learn what they need before they decide to hire us. Will you tell me how much it will cost? For most matters, we charge a flat fee. That means that you know what the cost will be before we begin and you don’t have to worry about being charged every time you call or email us. If we are going to be filing a lawsuit in court, or it will be adversarial, the fee will generally be billed at our standard rate. We also do some cases on a contingency basis, meaning that you only pay us if we win. Do I have to have a trust to keep the government from taking my money when I die? One of our goals in drafting your estate plan is to help you avoid estate taxes. Yes. Please contact us and we will give you a free initial consultation and provide you with an estimate on what it would cost to resolve your legal matter.